Next generation websites. Solely built for the client family. The world’s leader in funeral website developement just got better! Want a website platform that will improve visitor experience, build your brand awareness, educate your families on the value of a funeral service, grow your revenue, and clean your car? Well it might not clean your car but we’re sure working on it. At funeralOne, we have spent the last seven years developing a website platform that will redefine the way you connect, communicate, and interact with your client families. Forget everything you've ever known about a funeral website, and be prepared to have your thoughts turned upside down. Because a website is no longer about your company, it's about the client families you serve. It's about educating and driving the value of a service. It's about connecting and nurturing relationships. It's about providing families hope for a better tomorrow. It's about time! So, get ready to experience f1Connect - the first ever website platform built from the ground up exclusively for your client families. Share memories and connect like never before. Our f1Connect platform comes with one of the coolest applications you will ever see on a funeral website. It's our revolutionary social media powered Life Tributes memorial website plug-in. It goes way beyond the current guestbook and condolence systems that are currently available. In fact, these personal interactive websites are created automatically for each client family so they can stay connected to you and their family and friends - anytime and anywhere! It allows them to easily share or take photos, upload or record webcam videos, light a candle, send gifts, or even grow a family tree. All of these amazing interactive features will instantly inspire friends and family to share stories, memories, and connect. Best of all, the memorial website can live online for generations to come! How does it benefit your client families? One sure way of beginning the healing process is through sharing stories and memories with family and friends. And that's what this memorial website will do for your client families. And, best of all - everything is captured and stored on your f1Connect platform so families can make donations to keep their loved one's tribute online for generations to come. Now anyone who visits your website will have the opportunity to extend the life of a memorial website by simply donating as little as five dollars. This allows your client families the opportunity to secure and share their loved one's memorial website for generations to come. And the best part - you earn 50% of the revenues generated from all online donations. It's always a challenge to know the best way to help your client families in the days, weeks and months after the loss of their loved one. It's all about creating hope and healing experiences. Rest assured, we put together everything you need to help your client families through their grief journey. With our award winning e-Aftercare solution, you can offer your families an extensive range of world-class aftercare services. Offer interactive grief videos featuring world-famous Dr. Virginia Simpson. Give them 24/7 access to our online certified grief counselors directly on your website. Provide them with once a month group grief support sessions. And send them automated e-mails, quarterly newsletters, and 365 days of grief support affirmations. When they need it the most, you'll always be there to offer your support! Plain and simple, our websites are strategically designed for client families. 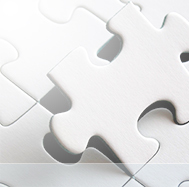 We've paid close attention to every detail - every pixel, word, font, image, color and placement. Through our f1Connect platform, you will engage your families on a personal and emotional level. You'll give them the information they're looking for. 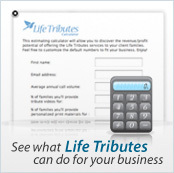 You'll persistently promote the true value and meaning of a funeral service or ceremony. And, the coolest part of all - you will have an interactive Life Exploration tool where families can explore different options on how to celebrate the life of their loved one in a unique and special way. Building these connections will attract and retain your client families like never before. Are you ready to save hundreds of dollars a month by eliminating third party website maintenance fees? Our f1Connect platform has a built-in content management system that gives you the power to easily edit and manage your own web site all in-house - regardless of technical skills. Easily update or disable any page on your website. Change your look and feel in seconds. It's as simple as "point and click" ! As an added bonus, our content management system features an automatic email responder tool, web statistics tracking, and e-mail campaigns. It's everything you need to get back in control!